There is now no hope for families. 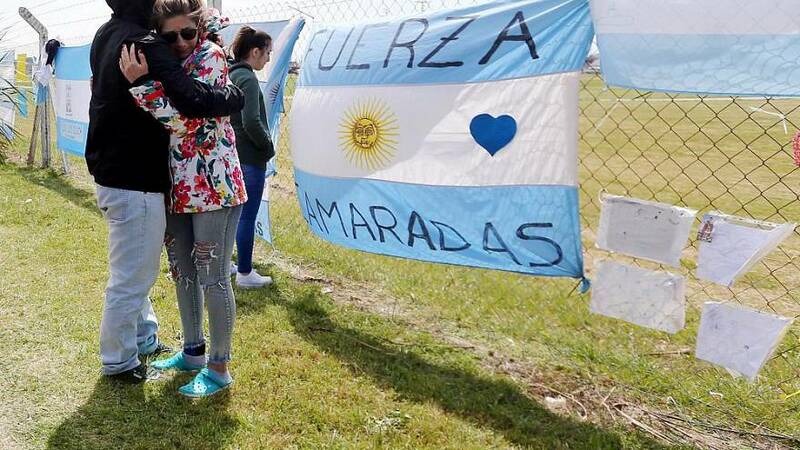 Argentina has given up on rescuing 44 crew members on a submarine that disappeared over two weeks ago in the South Atlantic, although the search for the wreck will continue with international help. The San Juan had a seven-day supply of air when it reported its last position on Nov. 15. "More than double the number of days have passed where it would have been possible to rescue the crew," Argentine navy spokesman Enrique Balbi told reporters on Thursday, confirming that a new phase in the operation would now begin. The crew had been ordered to return to a naval base in Mar del Plata, south of Buenos Aires, after reporting water had entered the vessel through its snorkel. The navy earlier said that international organisations detected a noise that could have been the submarine's implosion the same day contact was lost. Some family members criticised the government for giving up, and for its means of communicating. Luis Tagliapietra, whose son was on the submarine, said some 12 families had found out the rescue mission was abandoned from the televised news conference. "I want to know what happened and I do not believe in any of the official hypotheses," Tagliapietra said, his voice cracking up." "I have no words for it."